Making the decision to go through a divorce is extremely difficult and can leave you feeling emotionally drained. The process of divorce may seem scary if you don’t know what you’re in for. Here are the divorce steps described by divorce attorney Tanya Freeman. 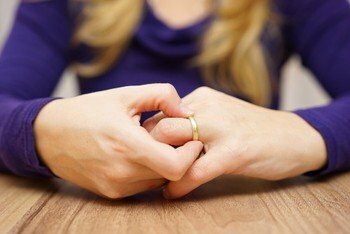 As a New Jersey Divorce Attorney, I often get questions from clients about the steps in the divorce process. Once one party has filed for divorce and the other party has responded in what we call an answer, the litigation really commences. Here in New Jersey, the first step is a case management conference, and I always tell my clients this is a scheduling conference. Also depending on what county you’re in in the state of New Jersey, that conference can be held in person with the attorneys and the judge. It could also be done by consent, meaning the two attorneys work on a schedule and they submit it to the judge for signature. After the scheduling conference, or this case management conference is what we call it, we enter a period called discovery. Discovery is exactly what it sounds like; it’s your opportunity to discover your spouse’s finances, and it’s your spouse’s opportunity to discover things about your finances. Many people say, “I know; we have joint bank accounts; I know what debt we have; I know what assets you have,” and many times my clients are surprised. They learn about accounts that they didn’t know even existed. That’s the discovery phase. Once we finish discovery, it’s mandatory in New Jersey that you attend an early settlement panel. The early settlement panel occurs at the courthouse. You and your attorney will submit a settlement position, and your spouse and his or her attorney will submit their settlement position. Two reasonable attorneys, are going to take a stab at giving you a reasonable settlement. They will tell you the pros and cons of trying the case, and what your likelihood of success is with this particular judge. If you don’t settle after the early settlement panel, you’ll go to mandatory economic mediation. Part of that process is of no cost to you, and then part of that process will cost you some money. If you don’t settle in economic mediation, you will prepare yourself to go to trial. If you have any further questions about the steps in divorce, contact New Jersey Divorce Attorney Tanya Freeman for a free consultation.